Post your streams, subscriptions, or adventures to the weird side of youtube here! Can we talk about how fun this update is and why it should stay in the game? Maxed stats, any gear you want and intense battles all wrapped up in one update. The tournament arena is here and available for ALL RuneScape members to enjoy! worlds 352, 353 or 357. They are the perfect place to gather up a group of friends and test your skill. With maxed accounts and your pick of the best gear, everything comes down to skill. You will need two teams of five in order to start a war. No less, no more. cannot be moved into normal worlds. They are temporary and will only ever exist in the tournament arena. To start a war in the tournament arena you will need five people in your friends chat and five people in your opponents friends chat. After challenging the opposing team, all ten players that will be taking part in the war must enter the arena before the end of the countdown. If ten players are not found in the arena at the end of the countdown the war will not begin! We've added a couple of additional maps for the tournament arena to spice things up a bit. 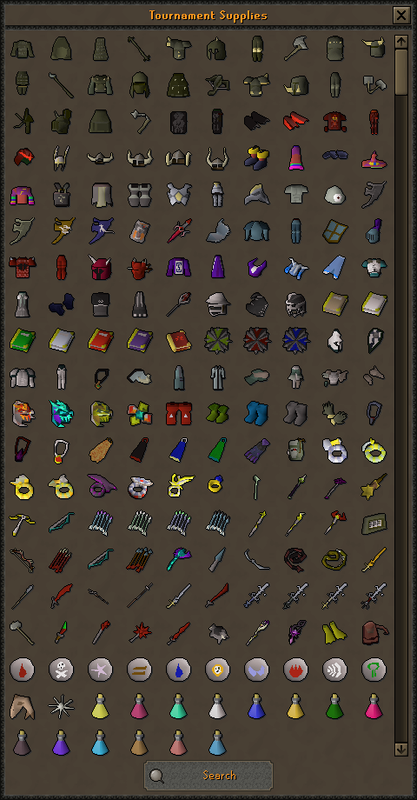 Have you ever wanted to go on a rampage in Lumbridge castle? Or maybe drop a few noobs in Falador park? Well, now is your chance. Falador park and Lumbridge castle are available as clan wars maps on the tournament arena worlds! When will the arena be removed? The tournament arena will be in game for three weeks. Make sure to hop over to a tournament arena world to have some fun while you have the chance! The world switcher now shows the number of players online in each world and has a logout button. No matter how many times I change my password via email I can't login to my character. I cant login to the runescape website, rs3 or osrs. This happened after disconnecting from runescape (which I associated with an account hijacker) and being unable to login with the login error being invalid password or username and error continues even after switching computers and making sure my email secure when sending a password change request. Anyone ever encounter this problem? Another thing was the fact that my username was instantly available which it would not have been if I had gotten banned. No information on this is on their site and they haven't responded to my emails about it either. 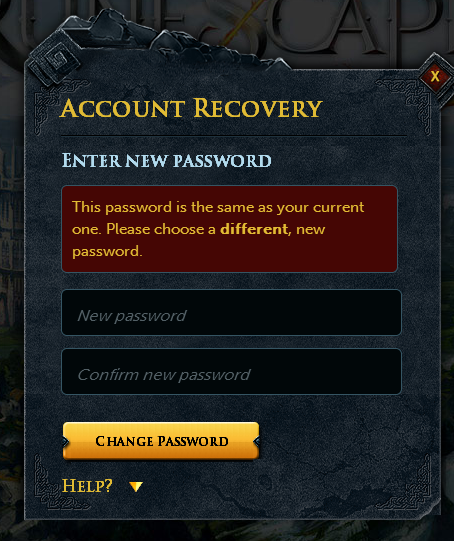 Yet if I try that password it will not log me in anywhere on the runescape website. And no the password recovery emails I clicked weren't phishers.